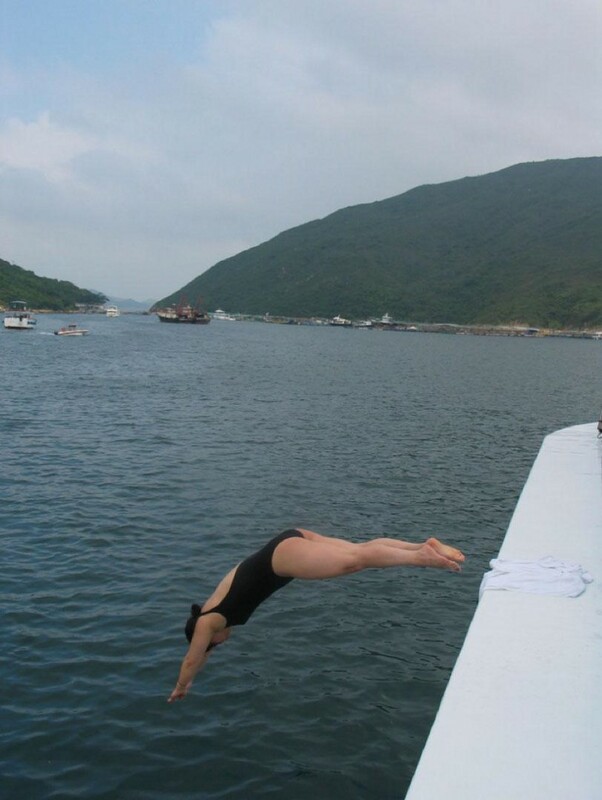 At the top of the ten meter platform, the young Chinese woman turned around, so her toes gripped the edge of the board, and her heels hung suspended over the blue square of water far below. She raised her arms, poised for one second, two…. Not many can dive, this ultimate physical expression. 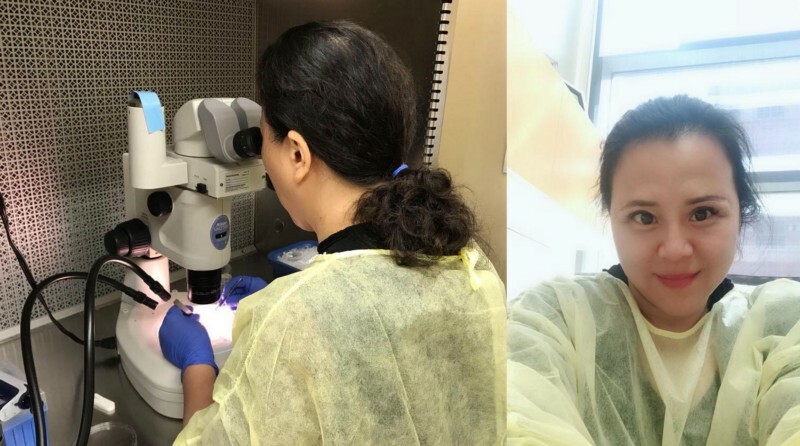 Even fewer have the second skillset of Eve Yi Sun, Ph.D.
For years, Dr. Sun has used science to fight Rett Syndrome (RTT), a terrible disease which attacks young girls. Perhaps one in ten thousand baby girls is born with RTT. At first, nothing seems wrong. The child moves and talks and breathes normally. But when she reaches 12–18 months, progress turns backward. Skills the girl had mastered are taken away; first she could talk — now she cannot. Once, she could move her hands purposefully, reaching and grasping; now that ability is gone, replaced by an endless hand-wringing. Scoliosis may twist the spine. The child may cry for hours at a time, inconsolably, as if for loss of a normal life. Boys rarely get the disease. When they do, it is typically fatal: most die before being born, though some survive for a few months. But it is the girls who suffer long: wheelchair lives of sixty or seventy years. Oddly, the ability to speak may return in later years, but there is no cure: not yet. And that “not yet” is the reason I am glad Dr. Sun’s career did not begin and end with springboard diving. She is a professor at UCLA, as well as collaborating with colleagues in China. The disease is caused by mutations in one gene: MeCP2. 1. Without using people, how would doctors test improvement possibilities, or even learn how the condition begins? 2. Might regenerative strategies be useful? 3. How will the research be paid for? First, in research intended to bring cure, scientist need a model: like the previously mentioned mouse studies. But mice (though useful) are very different from people. Rats are larger and biologically closer to humans, but even so there is a gap in similarity. To answer that problem, Dr. Sun has developed a non-human primate model: RTT in a lab monkey species called cynomulgus. Second, she has worked to use stem cells from the patient’s skin, making cell lines, an inexhaustible supply of the “disease in a dish”. Third, Yi Sun has received research funding from several sources, including the National Institutes of Health (NIH) 4 grants of roughly $375,000 each. — and a major grant from the California Institute for Regenerative Medicine (CIRM), A Basic Biology III grant for $1,382,400. She has worked hard and successfully to develop that all-important model of RTT. But the future? Unfortunately, NIH grants may be less available: instead of much-needed increases from the Federal government, actual cuts of 20% were recently proposed. And the magnificent California Institute for Regenerative Medicine? Funds are running low. It is my hope that California will renew the funding of CIRM for an additional $5.5 billion (with a “B”) and that the NIH will receive increases in funding, not cuts. And what about the RTT families? They are not sitting idly by. Every disease deserves advocacy for cure, and there are strong fighters in the battle to cure Rett’s disease. They are in no way connected to me, but I strongly recommend them. I just donated $25, which is very small (I am on a fixed income) but I wanted to show respect. If you care to contribute a little bit as well, I am sure they would appreciate it. By every effort, small and large, the battle must go on, until the cure is found. It is not right that children and their families should suffer so much. For any scientist reading this now, particularly young women, consider lending your strength to the struggle against this terrible disease. How beautiful it would be if a disease which strikes girls so cruelly could be defeated by that gender! A trip to the Rettsyndrome.org history section shows some of the breakthrough contributions women scientists have made in the fight against RTT. Ruthie Amir, Huda Zoghbi — and Eve Yi Sun: the woman who leaped into the sky.